Steph Hamill, both a master and a maverick in advertising, is an influential creative who has experience with some of the leading agencies in the industry. She has worked as a producer and as a digital and social media consultant, as well as an interactive and experiential creative, with companies such as Turner, McCann London and Razorfish. Steph is currently the Creative Director at Havas helia and a guest lecturer at Central Saint Martins, a public tertiary art school in London. 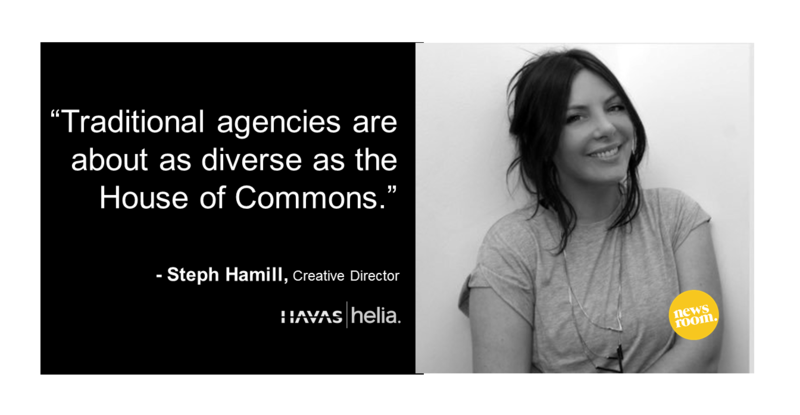 In a recent top-trending , Creative Director Steph Hamill criticised the woeful ratio of men to women in the industry, saying that “traditional agencies are about as diverse as the House of Commons”. 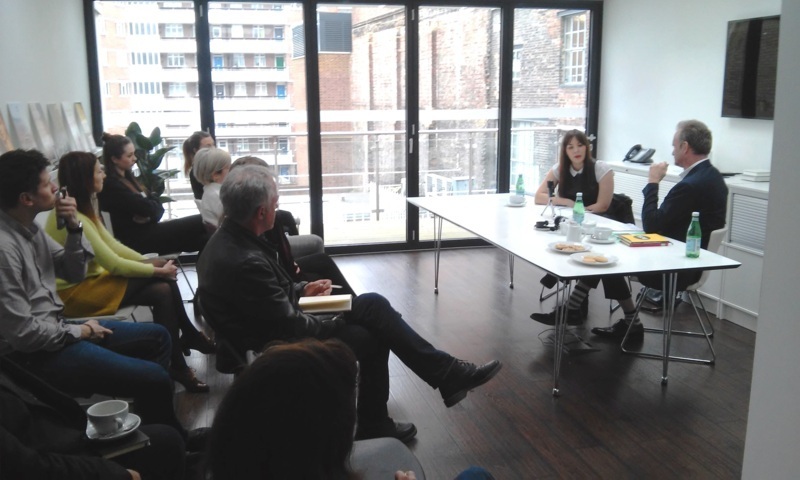 Central to her piece was the idea that if agencies want to see different and more effective results from their work, they must change their methods. In other words, diversify. 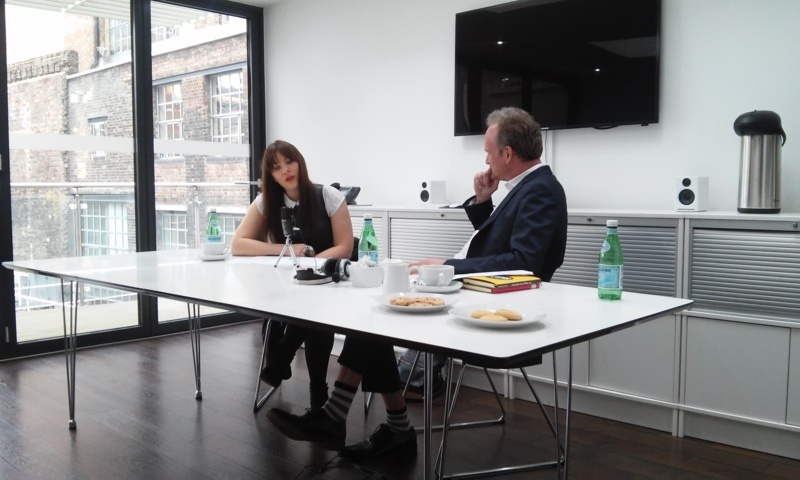 Steph joined our own Elliot Polak and the Newsroom team for a wide-ranging discussion on creativity in the workplace, the wells from which we draw our ideas and, most importantly, the current role of women in the advertising industry, both in campaigns and behind the scenes. What advice does she offer aspiring creatives and what is her personal mantra for success? To find out, listen to our latest Masters & Mavericks podcast hosted by Elliot Polak. Did you miss out on the beginning of Masters & Mavericks? Not to worry. Check out our inaugural podcast with Pernod Ricard’s Åsa Caap on intrapreneurship and follow it up by listening to Social Talent founder and CEO Jason Barrett discuss influencer marketing. Lie-flat business class seats. First class compartments with en-suite showers. Gourmet meals. Bottomless champagne. Most airlines know that business travelers are essential to their bottom line. Therefore, most brands make smart investments in cabin comfort in order to stay competitive. But is it smarter to also reach out to a wider section of customers, even those who rarely (if ever) pay for a seat? Since airlines usually operate under thin profit margins, marketing teams must think creatively. Appealing to the culture of a particular customer through savvy social media engagement is one way to promote a brand. Take Air France as an example. In a whimsical campaign earlier this summer, Air France reached out to its youngest flyers so they could help the airline promote a new partnership. The French flag carrier asked kids to draw pictures on a theme devised to celebrate the release of Mark Osborne’s film The Little Prince—a story based on the 1943 novella of the same name by the famous French writer and aviator Antoine de Saint-Exupéry. The theme titled, “draw me The Little Prince and an airplane,” let children submit their artwork to Air France in exchange for the chance to win prizes. The airline then promoted its new cadre of young artists by posting their artwork in response to customer questions on the Air France Twitter account. Other ways Air France sought social engagement included reaching out to film buffs by allowing them to submit scripts in honor of the Cannes Film Festival. Early this month, Instagrammers who post pictures with the hashtags #IamOnAir and #AirFrance can win a chance to take control of the Air France Instagram account in celebration of summer travel. Aside from meeting the expectations of the partnership between the film’s marketing team and its own brand, Air France managed to pull a kind-of social media trifecta: content generation, customer engagement as well as cultural awareness and reinforcement. In spite of the ultra-modern aircraft that whisk passengers from one side of the globe to the other, flying these days, sadly, seems more of a chore than the travel adventure it used to be, where taking a flight was once a classic cultural experience. But technology can help alleviate some of that apathy by democratizing business and allowing the consumer to drive the brand, especially if a campaign taps into a person’s pathos, or emotional appeal. By initiating campaigns like its drawing contest for the The Little Prince, Air France shows that it doesn’t see social media as an incomprehensible monolith, like many large corporations often do with embarrassing frequency. Instead, it’s a demonstration of customer engagement through a unique and creative angle, giving consumers the chance to connect the brand through a shared cultural experience. World’s Largest Advertiser Changes Business Model. Why? Secret deodorant’s “Like A Girl” video was watched 85 million times around the world. Is this just a strike of social media luck for Procter & Gamble – the world’s largest advertiser with a spend of $8.6 billion for 300 brands? Or is it part of a new global strategy, led from the top down? In an interview with Forbes, Marc Pritchard, Procter & Gamble’s Global Brand Officer, shared with contributor Avi Dan why the company has decided to make a quick, massive shift to a “digital first” business model.